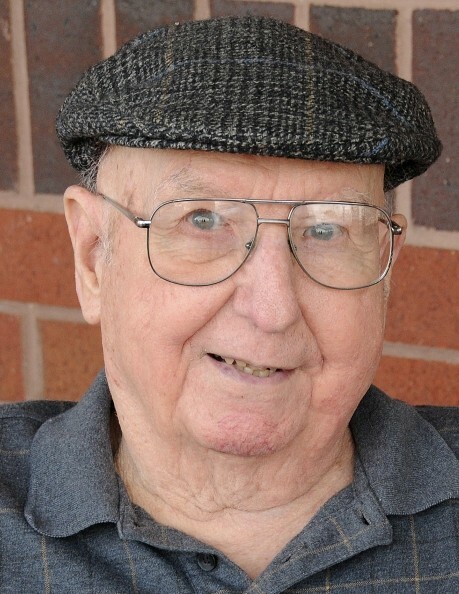 Franklin Lyde Knight, 94, died Wednesday, August 22, 2018 at Scottish Pines Rehabilitation and Nursing Center. A funeral service will be 3:00 p.m. Sunday, August 26, 2018 at the McDougald Funeral Home Bumgarner Chapel, officiated by Pastor Billy Olsen. Burial will follow at Hillside Memorial Park. The family will receive friends from 2:00 – 3:00 p.m. prior to the service at McDougald Funeral Home. Born in Bethune County, SC, to the late John Arthur and Flora Stancil Knight, he later moved to Concord, NC, where he enlisted in the Navy. He was in the service from 1942-1945, serving heroically in the Pacific Theater of World War II as a navigator on the destroyer USS David W. Taylor. It was also in Concord that he met and married his beloved Ruth and started their family. After being discharged from the Navy, he briefly worked in a local hosiery mill, then went to work with Bell System Telephone Company, with which he was soon transferred to Winston Salem. In 1962, he was again transferred with the phone company, moving to Laurinburg, NC. Following retirement in 1982, he enjoyed serving as a volunteer deputy with the Scotland County Sheriff’s Department. He was also an active member of Central United Methodist Church before transferring to Saint Luke UMC, both in Laurinburg. He spent his final years at Scottish Pines Rehabilitation and Nursing Center. Mr. Knight was dedicated to his family and was a very hard-working man. He was a generous man, a gentleman, and possessed a wealth of Godly wisdom. He had a great sense of humor, and was always ready with a funny story, joke, or song. He enjoyed fishing, hunting, and tinkering in his shop. He was also an avid reader of Louis L’Amour westerns. He loved and trusted the Lord dearly and taught his family to do the same. Mr. Knight is survived by his daughter, Betty Knight Price, of Laurinburg; grand-daughter, Valerie Price Seals and her husband, Ronnie Seals, Jr., of Asheville; and great-grandson, Franklin Seals. He is preceded in death by his wife, Ruth Lorbacher Knight, son, Charles Knight and grandson, Travis Price.